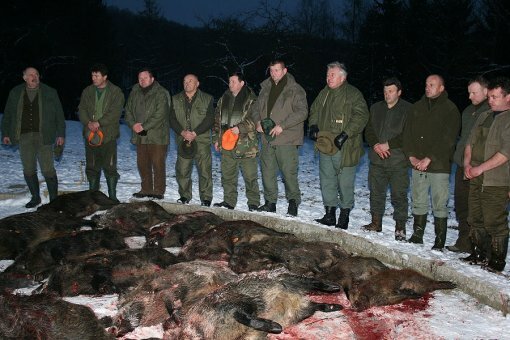 At the time when messages of peace and compassion are sent all over the world, seventy hunters from all parts of Croatia assembled in order to persecute freezing and hungry animals, which ended with the killing of seventeen boars in the name of Christmas. Minister Ivica Kirin, whose ministry has been fighting against violence by appealing to the citizens to spend Christmas without shooting from firearms, participated in that act of cruelty. The message sent by the hunters, including minister Kirin, is far from any Christmas message of non-violence, while photographs presented to the public are a great disgrace for Croatia. 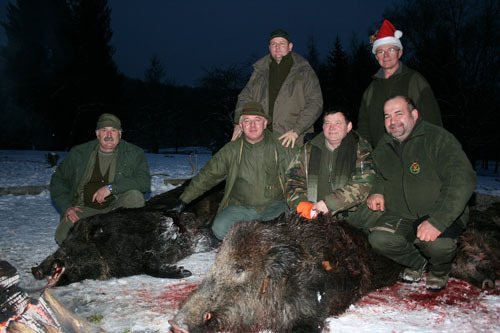 Killing for entertainment is a barbaric way to celebrate Christmas and the fact that minister Kirin participated in it is appallingly shameful, both for the Ministry of Inner Affairs and for the Republic of Croatia. The claim that persecuting, wounding, and killing animals by hunters, who do it in order to satisfy their need for violence, is simply a "kill-off," by no means diminishes its cruelty and viciousness, while "paying respect" to the killed animals is a ridiculous way of obscuring brutality. It is not quite clear what the Euromarket Vtc d.o.o. company had on its mind while sponsoring this Christmas killing, but it was certainly not its own reputation. Instead of investing its money in the protection of wildlife, nature preservation, or helping people in need, it chose to make it possible for a group of individuals to live out their killing urge on helpless animals.